Hi. I am Saniya. I do occasional babysitting for my local neighbours. 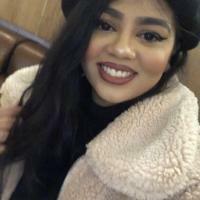 I am enthusiastic, energetic and a fun loving person, I have 6 years of experience working with children and also currently work part time with other teaching agencies as a teaching assistant. I have the appropriate skills and ability to entertain and keep children occupied, and also have good communication skills. I am.. I have known Saniya for a while and she is always wonderful with my children. Saniya always makes a special effort, too care for them, and does positive things that I do not expect her to do. She is always devoted in helping them positively progress in their learning and development. She is respectful towards them and always considers their individual needs. She's very artistic, so she is excellent with helping children to be creative and imaginative. She also loves reading to my children and participating in role play, which always excites my children. She is highly reliable and a truly lovely person to be around. Her strengths would have to be her level of patience, understanding, and her positive, high-spirited nature. Saniya is an extremely hard worker who takes her responsibilities seriously. I feel so happy and safe to leave my children in her care. My children enjoy being around her, as she always makes them laugh, is always smiling and happy. I would highly recommend her to parents, especially if you're looking for a positive, trustworthy babysitter.